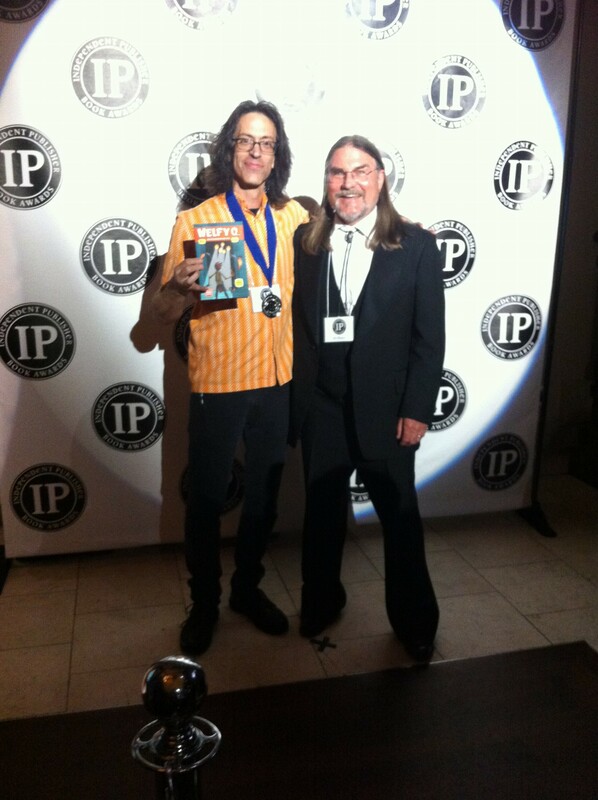 May 27, 2015: author Eric Laster receives his IPPY Silver Medal from Awards Director and "Independent Publisher" editor Jim Barnes. I’m happy to announce that Welfy Q. has won an Independent Publisher Award (IPPY) Silver Medal for Best Ebook, Juvenile/Young Adult Fiction! The 2015 competition included more than 6,000 entries from independent, university, and small press authors, so I’m beyond pleased to receive this recognition for my first foray into indie publishing. Many thanks to all who have supported this labor of love. The awards ceremony took place on May 27, 2015 in New York City as a lead-in to Book Expo, America’s largest publishing trade show, where I shared a booth with Frank Beddor of Automatic Books. For the second year in a row, I appeared with Frank at Seattle’s Emerald City Comicon as well as Denver Comic Con, followed by my debut Book Con in New York this past weekend. I had a great time meeting new friends and getting reacquainted with folks I met the previous year. Some returned looking for the sequel to Welfy Q.—and I assure you, it’s in the works! The tour continues June 25-29 in San Francisco at the ALA Annual Conference, where author/publisher Frank Beddor and I will be at Table #3244. And you can always find the most current information on upcoming events here.